The hotel enjoys a central location in Leeds close to the Art Gallery and Burley Park. Good value for money. 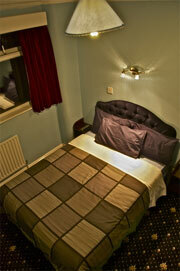 The Avalon Guest House enjoys a practical location for all that's going on in the cultural quarter of Leeds. The Metropolitan Uni Campus is just around the corner, the University of Leeds just a few minutes walk and the Art Gallery is likewise within strolling distance. There's also a nice little park at Burley that has a kids playground, a bowling green and tennis courts should the recent success of Andy Murray inspire you to grab a racket. Located in the northern suburbs of the city centre near Woodhouse offers simple yet adaptable accommodation with rooms that come equipped with HD Flatscreen televisions, free wi-fi and free luggage storage.